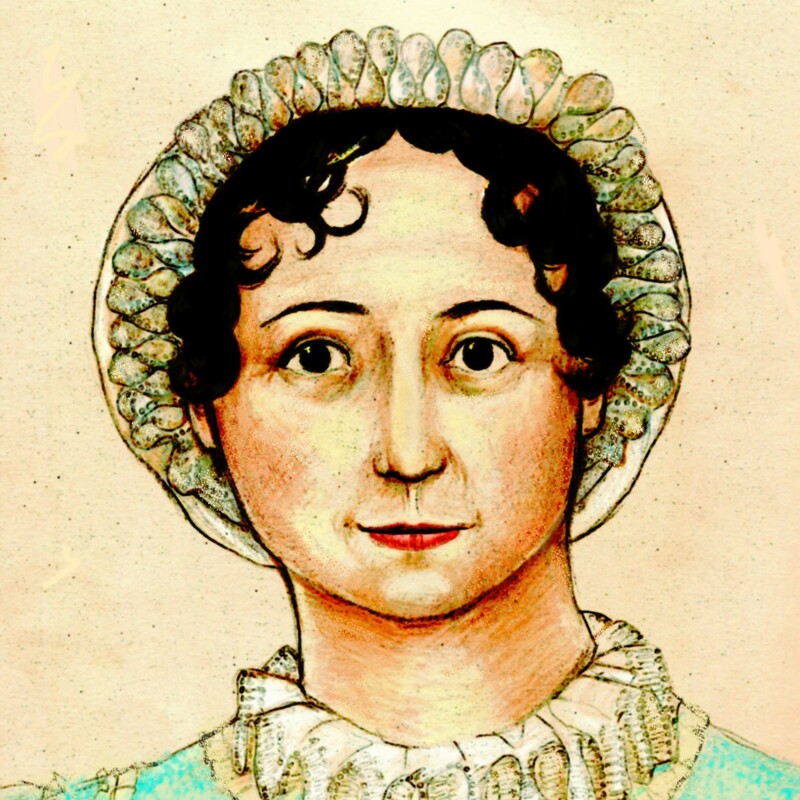 We found something fun courtesy of Blogthings: What’s Your Jane Austen-Inspired Name? Ours is Mrs. Caroline Bragge. It’s an open thread, so let’s chat. What’s your Jane Austen name? And what’s new in your part of Janeiteville? Mine is Miss Melissa Sparks. Ugh. Long and careful thought of at least 15 seconds tells me that Melissa is not a late-18th century name. Try Jane, Elizabeth, Frances (Fanny), Maria, Julia, Anne, Mary, etc. instead. Cassandra is quite an anomaly, too. Mine is Miss Emily Haggerston, as in hag and looking haggard, which is what happens when pollen and age combine. I like mine: Miss Elizabeth Tomlinson. I’d be happy to have the name Elizabeth (although I like to think of Elizabeth Bennet more than Elizabeth Elliot!) I wonder how they are coming up with the names?!? Mine is Lady Amelia Forster. I quite like it! Now I can see the relation to Dorothy, which I don’t mind, but Harris?? What is that? How can I explain that away? Here’s a link if you want to enjoy looking at the couples of JA adaptations, all (or rather – most of them) together in one. They have shockingly left out the most popular couple and dealt with some of the ‘B’ grade ones, though not all are ‘B’ grade. I sort of liked it because of the sweeping memories/nostalgia of times gone. It helps in this day and time when we are facing a fading away (am I wrong :-/) of the ‘pop’ culture JA had become. Mrs. Lydia Wingfield. I’d feel quite content with that, as I have always liked the name Lydia, but as my only associations with it are Lydia Bennet and the tattooed lady of Marx Brothers fame, it just doesn’t seem to fit. I’m Mrs. Charlotte Maclean. Does that make me Scottish? Because I could totally dig being Scottish. I like the Charlotte part; Charlotte Lucas is, I’ve always thought, an interesting character. I’m a little jealous I’m not a lady, though. @blarneygirl, you’re right, Miss Augusta sounds like somebody’s maiden aunt who is always relying on the hospitality of others. But hopefully she’s the kind of maiden aunt everyone likes having around because she’s kind and good with the children, if a little old-fashioned and near-sighted. So if you’re ever in Scotland, Miss Augusta, the Maclean home is always open to you. Oh, Miss Augusta. You’re so well-intentioned, and so embarrassing to your nieces. I love mine. It’s Miss Anna-Maria Darcy! How do they come up with these? Totally random. Ha! I did it again, entering my same first name and came up with “Miss Eliza Scroggs”. Scroggs…I think I like the first one better. Haha, I am either Miss Clara Gardiner (when I entered my second name, too) or Lady Bella Bentwick (without the second name). I like both names. They sound nice…and I have always liked the Gardiners. I don’t know about anyone else, but I’m writing these names down as future original characters for JA fanfic. I did it a few times, and came up with some pretty interesting names, like Lady Biddy Heywood (oh, good heavens). My favorite is Esther Burgess. I am “Mrs. Lydia Hodges.” My youngest is “Lieutenant Godfrey Denny.” He must be adopted like Frank Churchill or Edward Knight. As ‘Martha’ I was Lady Fanny Hughes, but as ‘Marty’ I was Lady Frances Robinson. Ironic, because I’m not awfully ladylike and come from peasant stock. I’m Lady Diana Harville. I hope I’m not impoverished gentry for I’d like to be able to do something for my relations in Lyme! I am Mrs. Betty Bird. I would have liked something more romantic but this will be okay. Mrs. Betty Bird sounds like a middle-aged gossip. But maybe you had a terribly romantic past . . . something involving moors or shipwrecks, perhaps.